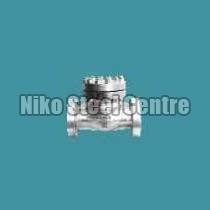 The company has marked its eminent position among the leading names for providing Non Return Valves from Maharashtra, India. These valves are made from the top-notch quality material and tuned in sync with industry standards. Buyers can feel free to contact us for acquiring them in retail or bulk. For cost effective solutions, approach us! Cast C.s. / S. S. / A.s.